Ice maker accessories serve as complements to your ice maker machine. 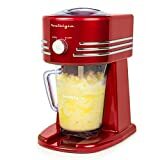 The accessories are used to make beverages, food and cake dressings, and homemade ice cream. This article examines the best ice maker accessories that you should consider buying. The accessories are picked depending on price, quality, customer rating, and design. The price of the accessories reviewed ranges from $20 to $145 and have a customer rating of 3.5 or more. Here is a list of the best ice maker accessories in leading retailers. The Ninja Bar Coffee Brewer is used to prepare iced brews and specialty coffee brews. Ninja Bar Coffee brewers come in different sizes, depending on your preferred serving size. The brewer comes along with paper filters, tumbler, recipe book, and measuring scoop and lets you choose from 4 types of brews: classic, rich, over ice, and specialty. The ice accessory is made of stainless steel and plastic parts. This appliance measures 10.8 x 10.5 x 14.9 inches and weighs 8.2 pounds. Holstein Frozen Drink Maker has removable parts which make it very easy to clean. Its capacity is 1100 ml, making it ideal for a large family. 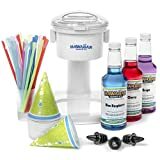 The ice maker accessory is used to make frozen refreshments like snow cones, daiquiris, margaritas, or slush drinks. The Holstein Frozen Drink Maker has two blade settings that give you the freedom to choose the texture of the ice you want in your refreshment. It is made of a metal body that guarantees durability. This ice machine accessory measures 12 x 7.5 x 8.5 inches and weighs 3.6 pounds. The Back to Basics Iced Tea Maker comes with a clear glass used to serve the iced drinks. Its design gives it a contemporary look, suitable for a tea party or as a gift. The tea maker measures 13x19x16 inches, with a net weight of 6.5 pounds. Recommended read: If you’re looking for an iced tea maker and this doesn’t feel like the one for you, check out our article on the best iced tea makers currently on the market! The Snow Cone machine costs $44.99. The device comes with Grape, Cherry, and Raspberry syrup package used to make a snow cone. Included in the Snow Cone Machine are 25 colorful snow cone cups and spoons used in serving your shaved ice. The snow machine is made up of a centrifuge and blades manufactured from stainless steel. The blades are adjustable, giving you the freedom to regulate the texture of the snow cone ice. It measures 10.25 x 15.25 x 7.25 inches and weighs 8.5 pounds. READY. SET. SNOW! : Just add ice to the top of the S700 machine and you will be making delectable snow cones in no time! 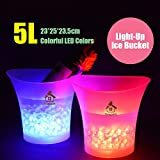 Bryt LED Ice Bucket is a polypropylene ice bucket. It stands 10 inches tall with its base having a diameter of 6 inches. It holds a maximum of two bottles of beverage. Blue lights fitted on the bucket gives the bucket a contemporary bluish color, making it an enticing equipment for a party. Its primary purpose is to keep beverages cold. Note: If you’re looking for an ice bucket with a classier look, we recommend going through our articles on the best stainless steel ice buckets and the best crystal & glass ice buckets on the market. Airtight Cold brew is used to make cold concentrates that are mixed with milk to make a beverage. 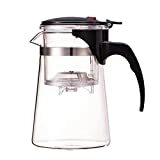 The airtight cold brew coffee maker is designed to keep the coffee concentrate fresh for more than 14 days and can also be used to make iced tea. It is made of thick glass and a stainless steel sieve. The glass is calibrated to help you measure the amount of liquid contained in the vessel. The coffee maker weighs 1 pound, measures 4.6×4.6×7.5 inches, and can make up to four cups of hot or cold brew. This stainless steel ice scoop can hold 6 ounces of ice cubes at a time. Its cup measures 5.25 x 3 inches and the total length of the scoop including the handle is 9.5 inches. Customers mention it’s long lasting and made of high-quality materials. In addition, it can also be cleaned in the dishwasher. If your ie maker didn’t come with an ice scoop, this is one of the most useful and best ice machine accessories you could get. Note: If you are interested in more options, check out our article on the best ice scoops available for online purchase this year. 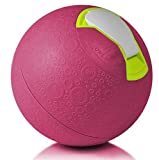 Yaylabs Ice Cream Ball comes in blue, orange, green, and purple colors. The accessory makes one pint of ice cream within 30 minutes. To make a homemade ice cream, you add ice cream flavors on one side of the ball and ice & salt on the other end of the ball. After adding the ingredients, shake the ball to mix its contents. These ice cream balls are made of materials that meet food safety standards and come along with a recipe book that gets you started on ice cream making. The accessory has a diameter of 8.5 inches. The Cold Brew Coffee Maker is used to make iced drinks. It has a sieve that prevents large coffee particles from leaking into the drink. Its body is made of glass and comes with a stainless steel lid to give it an attractive, sleek look. 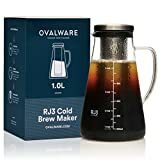 The cold brew coffee maker makes up to 5 cold brew servings making it ideal for a large family and measures 10.7×5.2×5.1 inches. Jelly Belly is an electric ice shaver made up of removable parts that make cleaning easy. 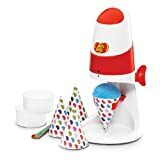 Additionally, the adjustable blade allows you to regulate the texture of the ice to your preference while making snow cones. The electric ice shaver measures 8x9x14.5 inches with a net weight of 1.4 pounds. Ice maker accessories help you make almost all types of drinks, refreshments, and dressings that you could have, otherwise, bought from an ice store. Ever tried one or more of our top picks? If yes, we would like you to share your experience with us!